Woodard Brothers Distributing is a Nashville-based shipping and fulfillment company that works with people of all abilities. 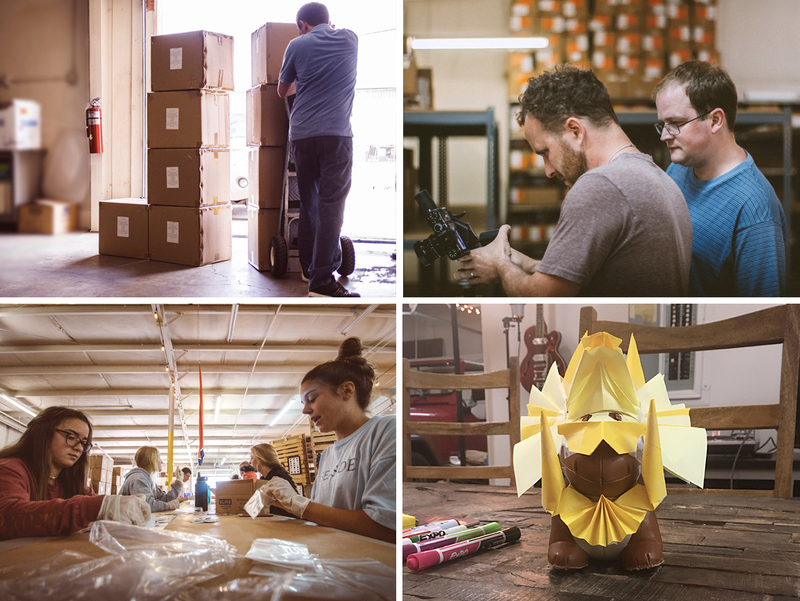 With its incredible blended workforce, Woodard Brothers is breaking barriers by providing rewarding employment and career development opportunities for adults with special needs. Westwood Avenue’s in-house graphic designer developed branding that reflected the unique nature of the company. The industrial-inspired look provided a backdrop for giveaways, printed materials, and a responsive website. The custom website also features the team’s SEO-friendly content and professional photography. Woodard proudly serves as a third-party Corporate Social Responsibility partner and trusted resource for companies and organizations like HealthTrust, The Salvation Army, BallFrog, SmileDirectClub, Nashville Convention and Visitors Corp, Results Drug Testing, Tennessee Soccer Club, and Goldner Associates. 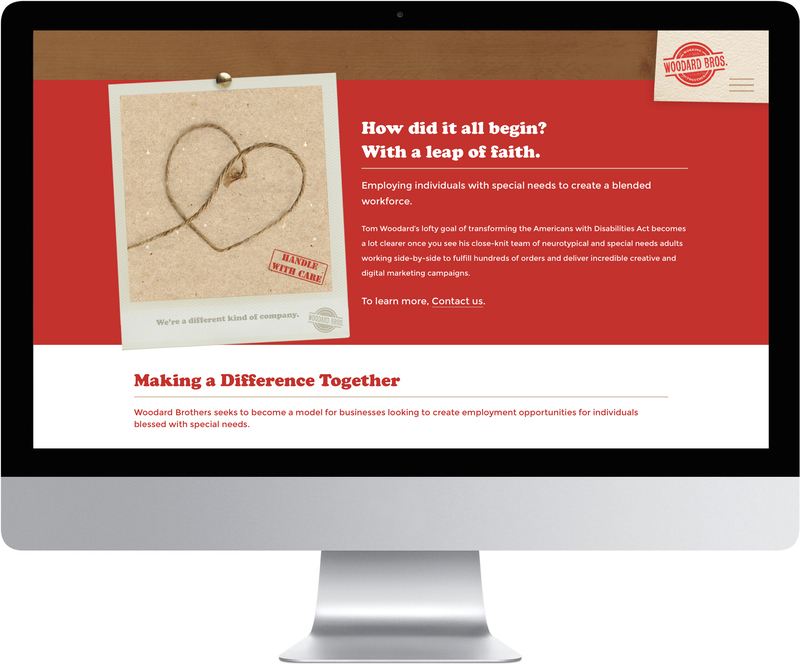 We created a cheerful and responsive website with optimized content that targets potential employees and their caregivers as well as corporate partners. Driving the entire brand, the shipping-inspired logo is both representational and inviting. Much like the the entire Woodard Brothers team, the company’s logo and business cards are the perfect blend of fun and function. Although they have a good time while they’re doing it, they get the job done. This custom illustration conveys the Woodard Brothers ethos perfectly. 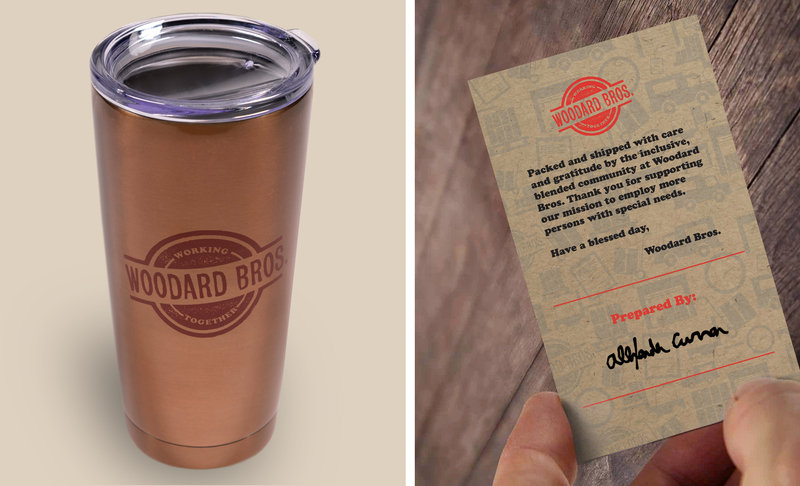 Because Woodard Brothers is all about personal touch and individual connections, Westwood Avenue’s graphic designer created custom-branded appreciation collateral. Our talented in-house photographer captured the friendships, camaraderie, and quirks that define our blended superworkforce. 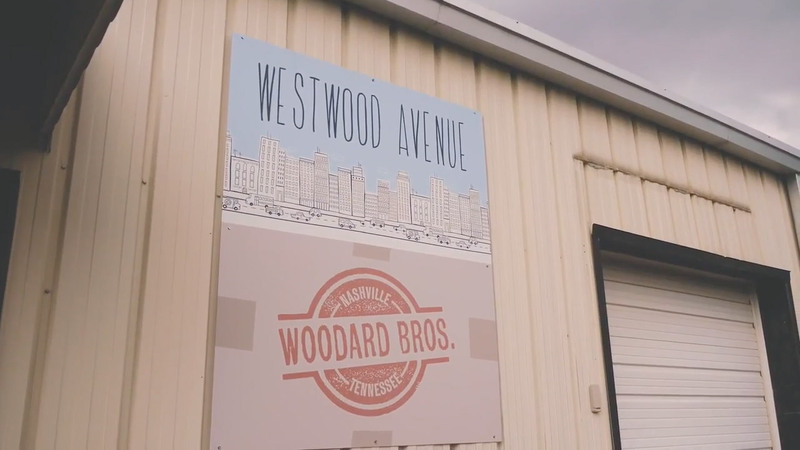 Featuring Woodard Brothers employee, Trey Tucker, this 3-minute video captures the essence of Nashville and one of the very special personalities behind Woodard Brothers. Follow Trey’s inspiring journey through Nashville as he runs the 2018 St. Jude Rock ‘n’ Roll National Marathon. Thanks to runners like Trey, more than $2 million was raised this year for the children at St. Jude’s.